All of us have worked with LOIs that state the general terms of a lease or purchase/sale transaction. And all of us have relied on the language at the end of the document which states it is non-binding on all parties involved in the deal. But in practice, this takes a different turn. During negotiations the LOI is often elevated to a reverential status when one or more parties is asked to deviate from the terms described in that document. From a legal standpoint, the LOI is merely a non-binding statement of future intentions to be fleshed out in a more formalized agreement between the parties. In practice, it often takes on a life of its own and becomes the hard template that only extremely special circumstances will mandate any variances. So what to do with this creature? First, make sure that the folks you are dealing with understand the hard and soft points in the LOI from the beginning. Second, make sure that everyone knows that the LOI was an initial meeting of the minds as to negotiations while you work your way through the fine points of your contract. This will create a clearer highway to final consensus than leaving the LOI alone and going from there. Often buyers and sellers and landlords and tenants are quick to get the LOI out to secure the essence of the deal. However this can lead to some perilous and expensive results if the terms are incomplete or too generally described. Take a deep breath and make sure you have the deal points you or your client want clearly stated. 1. 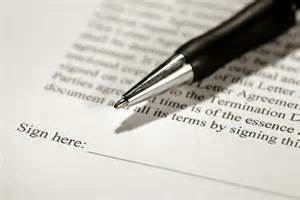 When in doubt as to the specifics, note that the terms are subject to further negotiation, investigation or verification. 2. Make sure you have listed all the key deal points; and if some have not been fleshed out, note this! 3. Get your exhibits finalized and attached as soon as you can. 4. Be as specific as you can – yes, this is not always possible, but work toward this goal. 5. Clarity is King, but don’t be afraid to state that certain term(s) will have to be stated generally for more discussion again. ← Keeping the lights on – When is it worth it to allow a defaulting tenant to continue operating in your premises?